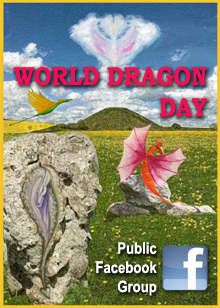 This entry was posted in Dragon Images, Dragon Meditations, Dragon Myths & Stories and tagged dragon dreaming, dragons. I have a question to the auther. 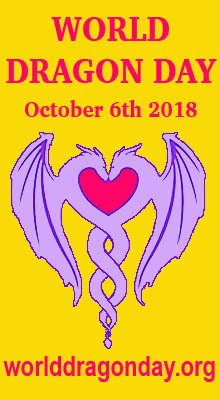 I was diagnosed with schizophrenia years ago but now things are changing and i am seeing visions of many things and now seeing what somethings are talking to me and i can feel the energies.I was wondewring what you meant when you wrote about the dragons and schizophrenics because I am seeing them now. Sincerely Best Regards. They are showing me visions. and now my dreams are changing. I also meditate but it has changed also. More astral now. Hi there …I assume you are referring to the article called Dragon Power which wasn’t actually written by me so I’m not sure exactly what the author meant. Perhaps you could go to his website which is referenced on that article and ask him directly. Another article I found some time ago which you might be interested in is Walking the Shamans Path: Not Schizophrenia, But Acute Sensitive, by Odette Nightsky. Recently, I attended a class that guided me through a ritual in which I will be able to find my spirit/power animal. I am still very new to all things related to magick and the occult, but as a kid I filled my head with stories of mythological creatures, so I can say the interest is there. During the ritual, two animals “followed” me. I use the term follow because it means the animals chose me, since I cannot choose my animals. The first animal to follow me was Gazelle. It walked with me to a large pool at the bottom of a waterfall. Most of the animals, like lions, giraffes, fish, and owls, were ignoring me. The thing shot out of the water, revealing itself to be a very large, very long white/clear-ish creature with a snakelike body, short clawed limbs and a thin row of hair lining its spine. I did not know what it was and quite honestly I felt scared because I thought I had angered it. But it picked me up, along with the Gazelle, and we flew out of the animal plane and back into consciousness. I was uncomfortable discussing its presence in our session because most of the other participants got easily identifiable strong animals like a lion, an eagle, and a whale, but our teacher encouraged me to release doubt and accept my animals. He suggested that it might have been a dragon. I reacted against this because I didn’t think I deserved such a mystical and majestic totem. Honestly, I didn’t feel very worthy. Our teacher asked us if we had experience with our animals in the past. My only experience with dragons are the following: 1) When I was younger, my imaginary friend was a white dragon. Whenever I felt bad, I could see in my mind’s eye that he would carry me up to an isolated cabin in a snowy mountaintop and purge me of the day’s poison. 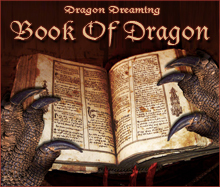 2) Dragons frequently appear in my dreams, but as a child, they appeared to me asleep beneath the sea. It was only when I turned twenty two years ago that they started to appear awake, either flying through the air or swimming in the sea. My teacher was convinced that a dragon had picked me, but I still don’t feel worthy. I realize this comment (or rather letter) has gone on long enough, but I was wondering if you could suggest ways in which I can communicate better/appease/work with my dragon? I feel like I’m about to eat an elephant, overwhelmed by the greatness of this creature that I somehow must emulate in order to develop into a better person. Perhaps there is also some way I can help the dragon? I don’t want to benefit from him without him benefitting from me? Thank you for your time. I’m sorry for the length of this comment, but your is the only blog that seems to offer genuine information on dragons. Thank you once again! It sounds to me like this dragon has been with you since you were a child, revealing itself in non-threatening forms that you would be comfortable with at the time, such as your imaginary white dragon friend, and in your dreams. Perhaps now it feels it is time to reveal itself in a more challenging form to really get your attention. Just going on my intuition or ‘gut feelings’ here, but I notice that water and air seem to be the main realms of this dragon and Water represents emotion and feelings and Air represents communication and knowledge. Perhaps your dragon is trying to help you to better express yourself in these areas, or maybe there are issues in your life that revolve around these areas …confidence, self esteem and self worth, finding your voice, speaking up for yourself and standing in your power perhaps? 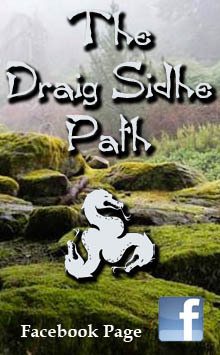 In any case, to get to know your dragon better I would suggest spending time in meditation whenever possible, either to CDs of shamanic drumming if that is your preference or soothing meditation music and just “go with the flow” so to speak, and see where it takes you. I know different people have different ideas about how to talk to dragons — some use rather formal language and rituals etc — but I tend to talk to them more as equals, always respectfully of course, but just in my mind, whenever I feel the need, sometimes with but usually without ritual and formality. I often just spontaneously ask them for assistance in matters that are very important to me, and when those desires manifest I always thank them. It all feels very comfortable because I am honest in my intentions and they know that. I think honesty and trust are the keys to mutual benefits for you and the dragon. Trust is a two way street so never try to abuse that trust and never make promises you can’t keep or have no intention of keeping, and things will be fine. Perhaps a relationship based on mutual respect and trust is what the dragons are after from us (?) so in that way perhaps you are already helping the dragon, who obviously considers you a worthy student/partner/friend. I guess I’m rambling here now, not really sure of what to write but just writing what comes. Hopefully something here will make sense to you and help you decide how best to proceed in this next exciting part of your journey. Thank you for writing back! You weren’t rambling at all! I find everything in there useful. I know it’ll take me a lifetime (or even more) to fully understand the dragon, but somehow finding out about it made me get up in the morning with much more gusto. I just thought I’d give you a quick update. Is it possible for dragons to “leave” momentarily? I find that my big blue/white one says he has many things to do with the other “elders” so he leaves a very small and rather volatile young golden yellowish dragon with me. She hasn’t divulged a name yet, but she’s already very affectionate, not like the big blue/white one, who’s mostly imposing and stern. I was just wondering if this ever happened to you. Thanks for the update. Everyone experiences their dragons differently to others. I don’t tend to be aware of mine all the time, so I can’t really say that this has happened to me in the same sense, but I believe that dragons will come and go as they please. So yes, based on what your big blue/white one is telling you it seems it is possible for dragons to “leave” momentarily. 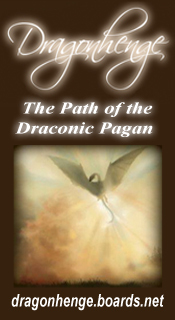 I’ve been studying Dragon Magick for a while now, though, I am only 14. I’ve already gotten a very nice Dragon Guardian, and she’s helped me with a lot of problems; involving personal thoughts, and emotional battles I have now and then. But, I don’t know where to start doing Dragon Magick. I’ve written a lot of stuff down, and I don’t know where to start. At first, I had this plan to start performing a ritual outside, but then it started to snow. Which disappointed me. I then stated that I would wait for the snow to calm, then, upon waking up the next day, their was (and still is) 4 inches of snow, and it’s -7 Degrees! Hi Takeshi, my advice would be to learn more about general magick before you try Dragon Magick. Not all the energies and entities “out there” are necessarily benevolent, even amongst Dragons. Read and learn more about magick and don’t rush into things – think things through, especially the possible consequences of your actions. 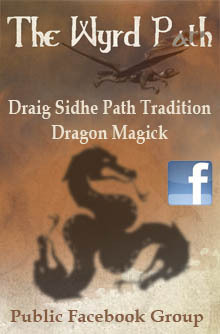 Meditate and listen to your Dragon Guardian – hopefully she will steer you in the right direction. But most of all, listen to your “gut feeling” – if you are uncertain or apprehensive about doing something, or “the universe” keeps putting barriers on your path (eg. bad weather, your perceived limitations of your bedroom for ritual etc) then it probably isn’t the right time to be doing it …yet. You will know when the time is right and won’t need to ask how and when. You are young, and with youth comes impatience, but impatience brings haste and often regret at the results of actions and reactions not fully considered beforehand. I would love to speak with you, either by email or phone. I have been Pagan for 20 yrs. I have a Dragon Guide who teaches me.